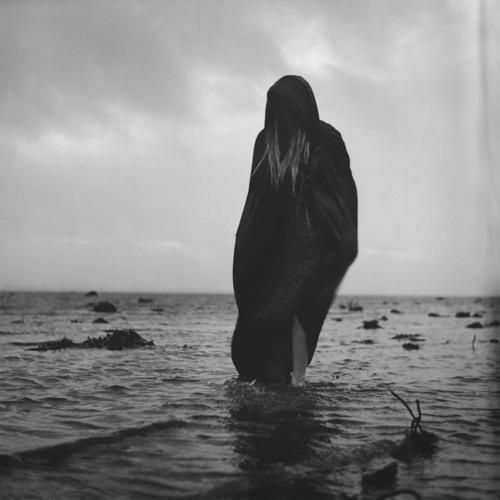 Rather than belonging to a coven or being part of a group, there are many witches who are lone sailors; they prefer to walk the magic path with autonomy. This wise person has a unique relationship with nature and is often a herbalist, someone who uses their natural healing abilities to help others. The Moon’s cycles are especially important to the lone witch, as the ever changing lunar energies are worked with. If you are a practicing lone witch you can learn how to work with the ancient arts, once you become at ease with the ancient energies you can then heal yourself and others, you can work with herbs and crystals or any accouterments you feel comfortable with, while you tune into the wisdom of the ages. Becoming a lone witch can be an enlightening and freeing experience as you open up body, mind and spirit to the magical elements. Witchcraft can be practiced anywhere, although after dark when the moon is out is a more powerful time to work your magic. If you practice outdoors after dark while bathed in moonlight, you will feel the lunar energies working for you. When you walk the lone path you will be following in the footsteps of the ancient witches. There are wonders to behold as you work with the intangible magical world and mysterious forces, at the same time learning to master the ancient arts, create rituals and cast spells. Historically lone witches were healers, herbalists and midwives, they were the wise ones with their hidden ways and were dedicated to their craft. 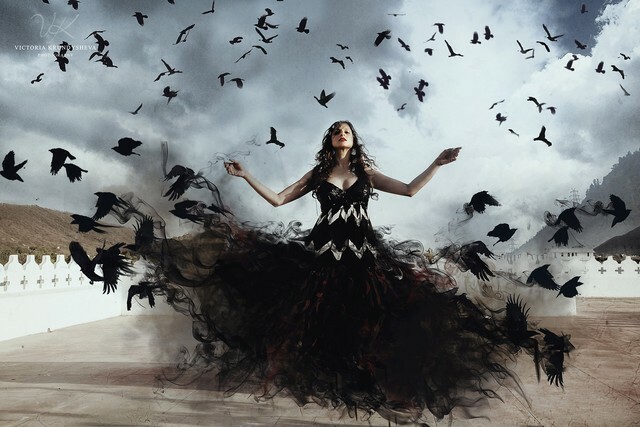 When choosing the path of the lone witch you are embarking on an inner journey, during this journey your ability to concentrate will be enhanced as will your understanding and your memory. Spend 1/2 an hour everyday to read about and study the magical arts, you will soon find that your natural talents are in a nascent state, just waiting for you to awaken them. As you learn all about witchcraft you will find that there are many traditional crafts such as healing, herbs, Reiki, Tarot cards, tea leaf reading, scrying, rune stones, face reading etc, also the use of talismans, amulets and charms. Modern witchcraft has been steadily growing since the 1950s and these days you can be a practicing witch as well as following an orthodox religion. Witchcraft embraces gods and goddesses and Moon magic, nature is worshiped as is the Goddess who rules over the phases of the Moon, along with her consort who is the Horned God of animals. These powers can be summoned for the guidance they have to offer and their energies can enhance your life. Villagers in times gone by would commune with the village wise person/witch, for healing, to be told what their future held, for spells, herbal remedies and for their skills as a midwife. The witches and wise folk’s knowledge was passed down from generation to generation. In times gone by there were wise people living in villages who were known as the “Cunning Folk” they could cure illness, act as midwives, discover lost cattle and offer charms, potions and advice, they were also skilled herbalists, they watched over birth and death within their village. 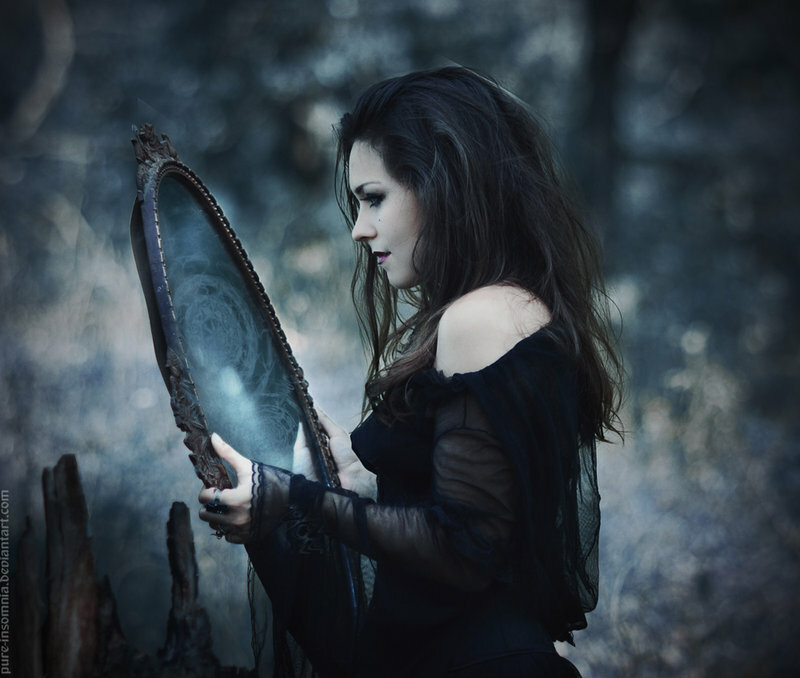 The lone witch usually spellcasts in a particular space in the home, or in an area chosen for it’s spiritual energies, this area will usually contain crystals, statues, incense, herbs, scented oils and at times flowers and plants. Like all witches, the lone witch has one foot in the earthly world and one in the ether, always in harmony with Earth and all of nature as they walk in alignment with all things. A practicing lone witch is usually proficient at herbal remedies and not a day goes by without a lotion or potion being created. The lone witch knows all about the phases of the Moon, they know when there is a new Moon, when the Moon is waxing and when it is waning. The lone witch also knows how each phase can enhance a particular spell, potion or lotion. If you choose to follow the path of the lone witch, approach this path with love and humour and learn the Moon phases. This is not a path for all, it is a very personal one and those who set out along this path are independent entities who feel at one with Mother Earth. They also have a yearning for secret knowledge and know that the magical world is a place where the will is strengthened. Many people still have the old image of the witch with her long black skirt, her shawl, pointy hat and of course the mandatory black cat (her familiar). These days witches, male and female, look like everyday people, and if you are tuned in you will be able to pick one out in a crowd. In the middle Ages, if a woman lived alone and had a pet she was deemed a witch regardless of what she did or didn’t do. Once you decide to become a lone witch, go out among people and see how many witches you can see, it won’t be long before you refine your tuning abilities and are able to find the witch in the crowd. To become a fully fledged witch you will need to learn how to be silent and still, this will allow you to feel the magic. As you walk the lone path you choose to do good and harm no one, that is your mantra for successful magic. Work your magic with love, responsibility, honesty and respect for the craft. The traditional spells were usually to do with crops, love, illness and childbirth, these days more responsibility is expected from those who consult the wise person/witch. The person who seeks an audience is often counselled during their session. Those who practice witchcraft are usually balanced human beings with a strong sense of self, they have chosen to walk the path with integrity. Practicing magic requires determination, strength and commitment, and if you follow this path you will find a certain serenity. 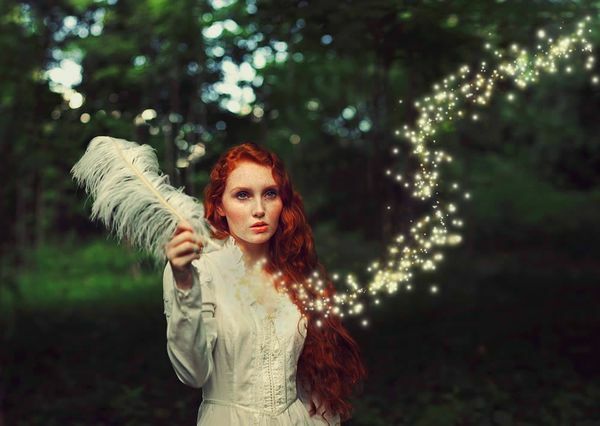 The path of the solo witch isn’t for everyone, especially if you are someone who likes the input of others, for those who are more independent and are happy to follow the old ways, you will revel in your autonomy. If you want your journey to be an anonymous one, do not succumb to your powers and threaten to turn someone into a toad, and read as much as you can about witchcraft lore. You will find any work by Doreen Valiente and Dion Fortune, helpful and enlightening. When you are practicing your magic you may choose to invoke The Goddess, she is the Universal Mother and the single manifestation of all goddesses. Invoke her simply, use few words and wait to feel her blessings descend upon you as her Moon magic washes over you. 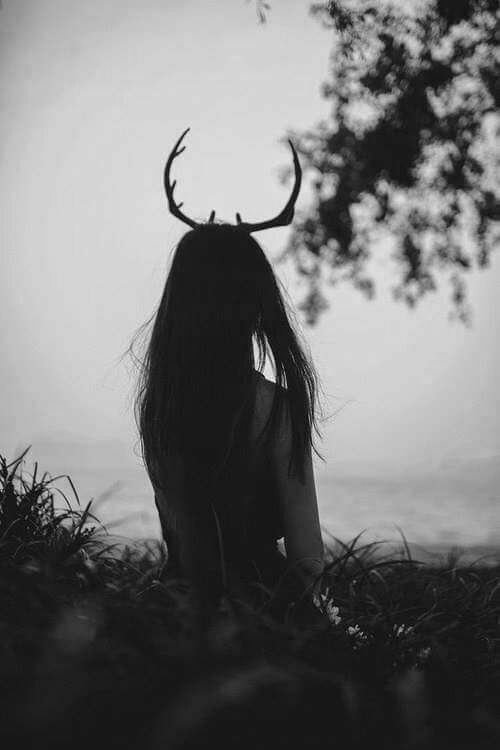 You may also call upon The God of Witches, who has many faces, he is an evolving deity, and is usually referred to as the Horned God because he has the antlers of a stag, the antlers are the symbol of the sun’s rays. The Goddess is of the Moon and the God is of the Sun. The gods and goddesses you choose to invoke when you are working your magic, will all come with their special and unique energies, these energies will make you feel empowered. Everyone has within them their inner God or Goddess and by accessing your inner God or Goddess you will tap the magic within.